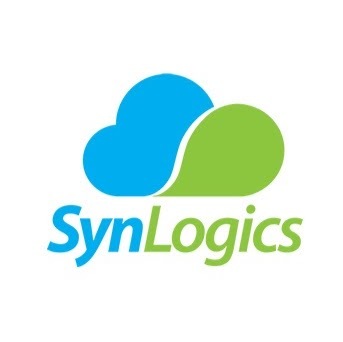 , SynLogics is an Enterprise Application and Business Automation Company focused on providing Quality services in cross channel Business Process Automation, Cloud Computing, E-Commerce, Digital Marketing, Web and Mobile Application Development. Automation is the buzzword of the century. From manufacturing to warehousing, from businesses to marketing - automation is just the new normal that is saving time, resources, and efforts for businesses and professionals. Email automation is one such important aspect that is changing the scenario of how business processes and communication are managed. Just as processes like CRM can be automated through business process automation, the actions on your inbox and outbox can be automated too. It enables you to send time and/or action-triggered emails to recipients without having a dedicated resources waste hours on reading, sorting, and replying manually, to these emails, besides bearing the risk of committing human mistakes. It is, in fact, proving to the be one of the best ways to manage email marketing. It enables you to sort emails by categories - subscribers, queries, orders, feedback, and the like; and trigger responses by deciding which ones need to be responded to and which ones need to be forwarded to another department. What Sort of Email Processes can You Automate? Robotic process automation has been able to solve many a problem for businesses - managing data, transactions, communication with digital systems, etc. Emails too, being one of the most popular ways of communication, and repetitive tasks can very well be automated. Query and feedback emails coming in through your CRM form an integral part of businesses today. And not just that, they actually presents you with a great opportunity to acquire and retain customers. When it comes managing orders that come in via emails, it can be more of a headache than businesses may realize initially. The formats of these order receipts can vary more often than not - Excel, Google Sheets, CSV, etc. Instead of retrieving all this data manually and then keying it into your order accounts, you could simply automate your email and get these orders added automatically to your order database or even to your accounts. Managing invoices with the help of an efficient RPA solutions is not very different from managing orders through automation. It is rather handy to receive invoices on email and have these emails integrated with your account management system to sort the invoices automatically and have them sent directly for account clearance. Thus, you will also have your payments process automated and streamlined. When coupled with business process automation, email automation can do so much more than just sort, forward, collate or reply to emails. It can even generate and distribute reports to the interested parties, including stakeholders and representatives. So, not only can it manage to retrieve the data about customers, orders, sales, expenses and more, but also collate it, generate a report, and even schedule outbound emails to interested parties. So, are you planning to automate your inbox? Let's Connect with SynLogics Expert team.